Actress, Comedian, Author President of Accessible San Diego Director of Sales and Marketing, The Paciello Group. Learn best practices, tips and tricks to usability testing with people with disabilities. Kathleen Martinez, Assistant Secretary of Labor for Disability Employment Policy, will host a presentation on the U.S. Department of Labor's efforts to promote the development and adoption of accessible workplace technology by America's employers. The Board conducted a public hearing January 11 on a revised draft of updated requirements for information and communication technology (ICT) covered by Section 508 of the Rehabilitation Act and Section 255 of the Telecommunications Act. The next Public Hearing on the Draft ICT Rule will be held at the CSUN Conference and is open to the public as well as conference attendees. 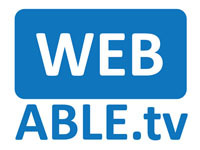 This presentation will cover HTML 5 accessibility from content to interoperability with assistive technologies. Real world gathering for those who know each other through Twitter. This is an update on a successful multi-year project involving CA Technologies and The Paciello Group, to develop an end-to-end accessibility development and testing process. The Paciello Group, The Center on Disabilities at CSUN, CA Technologies, Microsoft, Adobe, IBM, and Bender Consulting were pleased to coordinate and sponser a tweetup at the CSUN Technology & Persons with Disabilities Conference. The 2012 CSUN Conference will be held in San Diego, CA between February 27- March 3, 2012 at the Manchester Grand Hyatt Hotel. The General Sessions Schedule for the 27th Annual International Technology and Persons with Disabilities Conference is now available. Attendee registration for the 27th Annual International Technology and Persons with Disabilities Conference is now open. Visit http://RegOnline.com/CSUN12 to register now. Please note that speaker registration is closed. The following link opens external registration website. Continuing Education Units (CEU’s) are available through the AAC Institute for many of the Pre-Conference Workshops & General Sessions conducted during the conference. For more information, please visit AAC Institute’s website. You may also stop by the CSUN Customer Service counter or the Literature Distribution Kiosk in the registration area and pick up a pamphlet on-site at the conference. Accessible HTML, EPUB, and DAISY versions of the 27th International Technology & Persons with Disabilities Conference program, as well as hotel menus, are available for download, courtesy of DAISY. A rewarding opportunity to take advantage of Knowbility's AccessU program and the CSUN Conference in one location, by providing the most unique opportunity of education and networking. Each attendee will receive a copy of the new book from Jeff Kline, Strategic IT Accessibility: Enabling the Organization. The Directory of Exhibitors at the 27th Annual International Technology and Persons with Disabilities Conference is available. Please note that this list is preliminary and is subject to change. Explore forums and panel discussions open to the public. CSUN Conference attendees get a free digital subscription to ABILITY Magazine.